Giggles, groans, and belly laughs, packed on every page. Kids can’t resist sharing jokes (even you try to stop them), so they always need a fresh supply. We’ve stuffed the pages of this little joke book with the funniest jokes we could find. Old favorites, new favorites, and a few festering stinkers—all guaranteed to make kids laugh out loud. You'll find Q&A jokes, knock-knock jokes, riddles, and one-liners. And, of course, we’ve included entire chapters of those all-time kid-pleasers: elephant jokes, pirate jokes, and space jokes. What's black and white, black and white, black and white? A penguin rolling down a hill. Why don’t zombies eat clowns? Why did the hen scold her chicks? They were using fowl language. What kind of books do skunks read? How does Darth Vader like his toast? 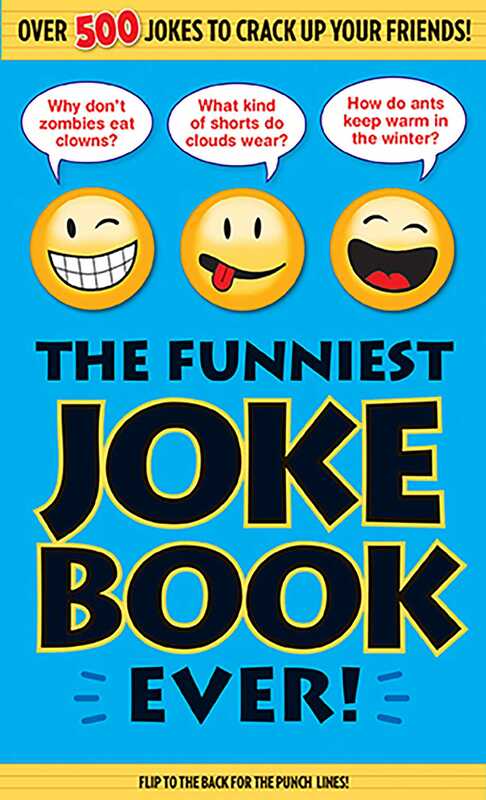 Book Cover Image (jpg): The Funniest Joke Book Ever!